The Kwikset brand of Spectrum Brands, Inc. – Hardware & Home Improvement Division (HHI), now offers one-key convenience through SmartKey Security technology in select Kobalt Tools 3000 Series tool chests, available at Lowe’s. 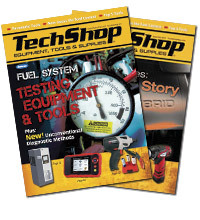 This unique feature will allow homeowners and trade professionals alike the convenience of one-key access for their home or workshop. 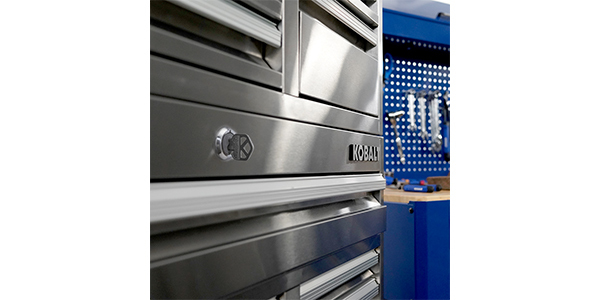 For the Remodeling Go-Getter: The Kobalt 3000 Series 22.5-in x 41-in 9-Drawer Stainless Steel Tool Chest stacked with the Kobalt 3000 Series 41-in. x 41-in. 11-Drawer Steel Tool Cabinet, both featuring SmartKey Security, create the perfect set for home improvers with many projects and even more tools. Available in red, blue and black, the combination retails together for MSRP $998. For the Established Professional: The 3000 Series 68.7-in. x 53-in. 18-Drawer Ball-Bearing Tool Cabinet with SmartKey Security in Stainless Steel provides trade professionals with a durable, systematized storage solution for their tools; MSRP $1,999.